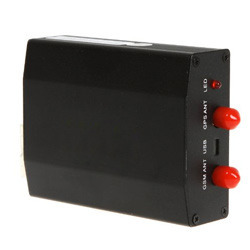 Let your cellular phone act as a universal remote control, open and close your automatic gate, garages, electric door, roller shutter or even your remote switching devices using your mobile phone. 1. The Device can be controlled to ON and OFF any electrical appliances by just giving a free phone call. Option to control by SMS . 3. Upto 5 Users can be granted control by the Admin, hence the device can be controlled by upt six users giving greater flexibility. Option for more than 200 users. Admin can add or delete users. 4. The device can be controlled without any communication fee since it rejects your call and switches ON or OFF any electrical appliances. 5. The device can be operated over a wide range because of use of GSM technology which facilitates operation literally from anywhere in the world. 6. Option to operate relay in pulsed mode or continioous mode. 7. Option to set pulsed delay time. Our ReputationOur customers include reputed solution providers for automatic gate controllers.Our systems are used in villas were more than 200 people are using this system for more than 2 year without any service issues. Our System is used in Bangalore International Airport (BIAL) were more than 25 systems are controlling the traffic lights were the operator is controlling remotely. Previously they have had go in vehicle and manually switch ON the lights. 1. The Device can be controlled to ON and OFF any electrical appliances by SMS . 4. From a single device up to eight devices can be controlled via SMS. 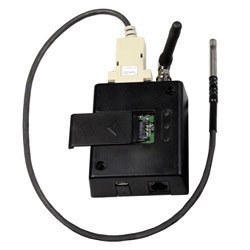 We put forth an exclusive range of GSM GPRS Theft Prevention System. This range I is reliable and effective enough to prevent theft. Whenever a thief tires to force it way through a restricted area this system notifies the owner or concerned authority via text message/SMS alerts. It can be easily integrated with a phone and is very cost effective and reliable. 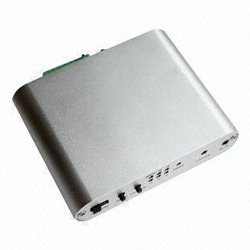 The relay signal and sms alert sent by this range of solution has prevented several theft attempts all over the world. We hold expertise in providing our clients with a well-tested range of M2M-SMS-Call Based Input Output Control and Monitor. This technology solution allows user to monitor and manage key business functions through GSM network. It helps organizations realize greater manageability, savings on operating costs and decreasing response time gap. 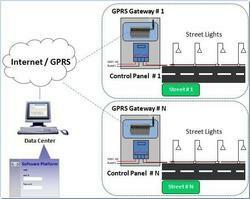 This range of offerings cater to number of monitoring and control needs such as Fire and Security, Facility Management, Data Center Monitoring, Environmental Monitoring, Tell-communication & other M2M applications .Different combination of monitoring and control needs can be managed in a single I2R-SMS-CALL-GP-IO-CM-V1.0. 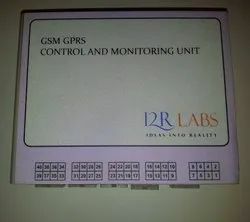 Control and monitor though SMS, GPRS and calls. 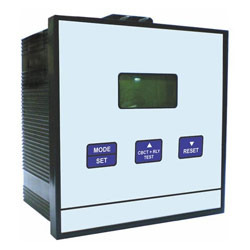 GSM GPRS Monitoring and Control System for Generator. The system is designed to be extremely simple and will, once the customers or Users Telephone Numbers are programmed into the system, will enable up to 8 authorized users to just call the generator, which will start automatically from anywhere in the world. 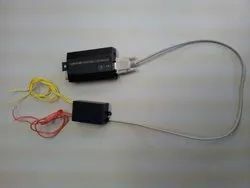 GSM Gate Control Use Your Mobile Phone to open your gate, garages and electric door. Let your cellular phone act as a universal remote control, open and close your automatic gate, garages, electric door, roller shutter using your mobile phone. 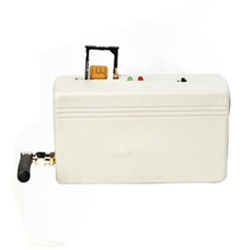 GSM GPRS Cool Room Temperature & Refrigeration Monitoring System. A secure temperature monitoring and alarm system for product storage facilities.Our temperature and refrigeration monitoring system will monitor for water leaks, temperature high or low alarm conditions and power outages! When any of the alarm conditions are detected the monitor will text up to 20 phone numbers to alert you to any alarm condition. There is also can connect to the audible alarm which will alert you locally to any alarm condition which occurring. The alarm and dialer will dial up to 20 phone numbers if the temperature falls below certain ranges or rises above which is preset. It also will notify you of a power outage at your cold room or freezer. 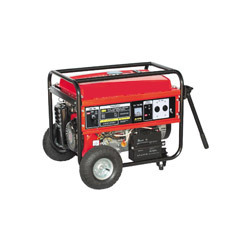 Knowing the power is out enables you to take action before expensive consequences can occur. You can even select how long the power is out before the unit calls to avoid nuisance calls. The unit offers great peace of mind and protection your cold room and freezer with very minimum installation or monitoring fees! When the monitoring system calls, it plays an easy to understand message, clearly stating what type of problem (temperature, water or power) is occurring at your monitored location. The unit will continue to call until the alarm is acknowledged and cancelled. The GSM remote temperature and refrigeration system Included with a remote wired water sensor that can be placed in the basement, near a water heater, below the kitchen sink, washing machine, or inside your sump pump. Early detection of water leaks with a water alarm can save many thousands of dollars in property damage. 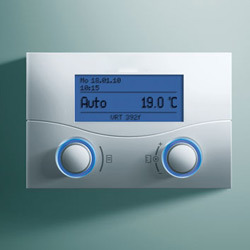 GSM Heating Control System. 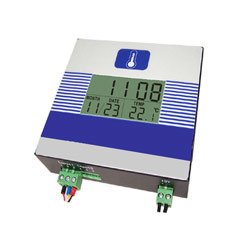 Temperature & time control & remote control from anywhere in the world. Do you arrive to a home or office that’s too cold. Do you work non-standard hours (shift work) Are you self-employed and no two days are the same. Do you arrive to a home or office that’s been wasting heat while you are not there. Do you have a second home, caravan or holiday chalet you want to use in winter, but your partner hates arriving when it’s cold and damp inside. 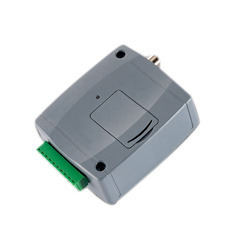 Works with your existing timer/thermostat or as a standalone controller for maximum flexibility. Inputs for reporting auxiliary equipment E.g: burglar alarm, fire alarm, freezer alarm, etc. The GSM Greenhouse monitoring systems design a simple, easy to install, micro controller-based circuit to monitor and record the values of temperature, humidity, soil moisture and sunlight of the natural environment that are continuously modified and controlled in order optimize them to achieve maximum plant growth and yield. It communicates with the various sensor modules in real-time in order to control the light, aeration and drainage process efficiently inside a greenhouse by actuating a cooler, forger, drippier and lights respectively according to the necessary condition of the crops. Real time information of data acquired from the various sensors and the status of the various devices can be viewed to web application as well as though sms. 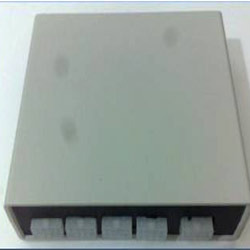 Also, the use of easily available components reduces the manufacturing and maintenance costs. The design is quite flexible as the software can be changed any time. It can thus be tailor-made to the specific requirements of the user. This makes the proposed system to be an economical, portable and a low maintenance solution for greenhouse applications, especially in rural areas and for small scale agriculturists. GSM Lift And Escalator Fault Monitoring And Reporting System. The GSM lift emergency voice system applies because GSM call cost is better than landline and no monthly fixed charges. This system also applicable in every building where there is no person who monitors lift's condition constantly. It is the ideals solution for Companies which have greater number of lifts - all they need is one telephone (e.g. mobile phone';s) on which messages and voice connections will be transferred. The unit also reporting and monitoring system provides monitoring the working status of lift and escalator over GSM network. When there is a failure or power failure, the unit will automatically generate SMS alert to the pre-programmed telephone number up to 8. In most cases, elevator breakdowns are the result of users’ feedback. From detection to feedback and acknowledgement of the matter, there is already a time lag, resulting in anxiety and inconvenience. At times, even users’ feedback may be inaccurate. When the matter is finally resolved after onsite inspection, testing and remedial work, time and labour cost have been incurred. The system avoids such inconveniences and unnecessary delays. the Model is supported by a sophisticated software detection system, it will monitor the performance of elevator systems like clockwork with efficiency. With the system in place, it is able to monitor the performance of many elevators simultaneously. The monitoring centre is alerted of any operational anomaly and/or failure before the end user is aware of the occurrence. The detection and alert is reported and shown on monitoring screens on computers and via mobile message alerts. The cause of anomaly and/or failure is diagnosed upon detection and confirmation of fault. The system performs a self diagnosis to determine the extent of the fault before feedback is provided to its monitoring base. Once the extent of fault or failure is confirmed, the monitoring centre personnel in charge has the authority to initiate corrective action such as resetting of the ELCB by turning off and turning on the main power or shut down the elevator system for safety purposes. All these from a remote location via computer interface or via a mobile device as and when deemed fit according to circumstances. A specialist team is dispatched on site only when remote access remedial action have not been able to resolve the matter satisfactorily. Of worthy note is the step by step self-diagnosis ability in the software that eliminates cases of where false alarms are given as a result of pranks and misuse. These often result in specialist teams being sent over at considerable cost only to realize that a false alarm was transmitted because someone decided to play a prank or from deliberate misuse. For routine performance monitoring, the system is able to chart the total number of times a particular elevator unit ascends or descends its shaft in order to chart an ideal capacity load and optimize its performance based on routine patterns of usage. Ultimately, the remote monitoring system allows for maximization of up time, minimizing down time while allocating time slots for scheduled maintenance work through an intelligent self diagnosis and appropriate first level responses to genuine faults via remote locations. GSM SMS Alert For High Voltage Electric Fencing Security System. High voltage electric fencing is the first line of defense and enhances the ability to detect and respond to break-ins or intrusion immediately. This is to protect your property and ensure that intruders do not unlawfully enter your property. The intruder will get a short, sharp, painful but non-lethal, safe high voltage (5,000 volts - 10,000 volts) electric shock once the intruder touches or cut any of the electric fence wires. Our SMS alert alarm will immediately triggered by siren and alarm revolving light when intruder touches or cut any of the electric fence wires. It is already a proven physical security system to a few of our customers and just recently, at one of our customer, several intrusions was detected and prevented when intruders tried to cut the electric fence wires.An alarm siren was raised immediately and intruders received the high voltage shocks and left behind cutters and knifes. Another proven story is from our installation at GSM Operator Telecom Tower transmission where the intruders also received the high voltage electric shocks where they also tried to cut the electric fence wires to go in and steal the earth copper wires. Police and GSM Operator security staffs arrived on the scene within 10 minutes when they received GSM SMS alerts of the intrusion attempt. The high voltage Electric Fencing Security System can be connected to our SMS alert system where it will immediately call and send SMS text messages to 8 pre-set mobile phone numbers when intruder alarm triggers to alert you to an intrusion. The high voltage Electric Fencing Security System can be installed to any existing fence, existing brick wall, gates, building, roofs and all types of existing perimeter fences. Please see attached pictures of the installation at fish breeding farms and GSM Operator telecom transmission towers. 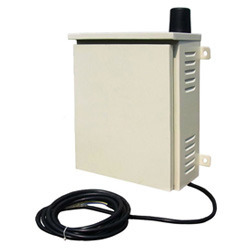 Our range of GSM Aquarium Monitoring System is widely used to monitor water quality, correct lighting, right pH levels and temperature in aquarium. It tracks all these systems and conditions to keep fishes healthy. There are several incidents when aquatic livestock dies due to human negligence or any technological defect or malfunctioning. In case of any unwanted condition, owner is immediately notified via SMS. The sms also details about the clear description of fault and location of such failures. It helps in taking proactive action and avoids any unwanted results. This system can send the notifications up to 20 users at a time. 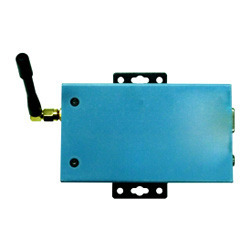 GSM GPRS Server and Equipment Room Monitoring and Control System offered by us are widely acclaimed for their supreme quality and exceptional performance. One can monitor ancillary equipments like air-conditioning, UPS, standby power generators, fire alarm systems, temperature meter and water leakage detector. 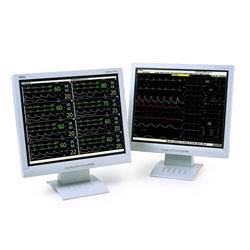 Our range of solutions facilitates monitoring of every single aspects of the operation. 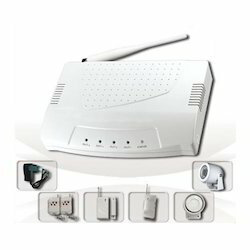 It also enables to cut down any unwanted condition right from the mobile phone or home computer. 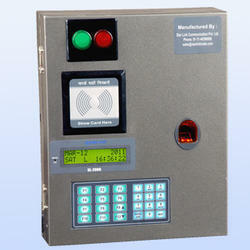 One can monitor all such appliance and operations through a SMS easily if any emergency happen. 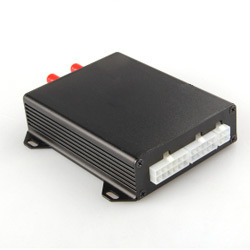 This range of solutions also allow to turn on/off or reset the PC, Modem, ELCB/ MCB and ON /OFF lightning. 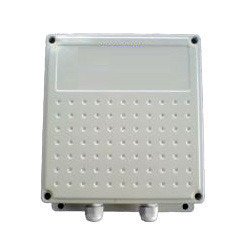 Silo Weight Can inform your silo level on your mobile through GSM/GPRS modem WT-9001. This will help to manage inventory and logistics in better way, improving overall business efficiency and cost saving. 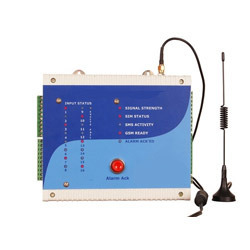 Our GSM Remote Monitoring and Remote Control System can monitor up to 8 digital and 4 analog inputs from Silo Weight Monitoring Silo/ tank/ hopper levels in RMC Plant, cement plant, power plant, material handling and storage industry or any other industrial complex where mobile signals are available. When modem detects, change in silo level through contracts, it will automatically send out SMS to designated mobile phone numbers. Multiple locations can be monitored locally as well from remote control station, thus improving business efficiency through report generation and management information system. At the same time, local operation and maintenance staff is informed with SMS alerts on their mobile without personal communication. All this is done without establishing costly network. 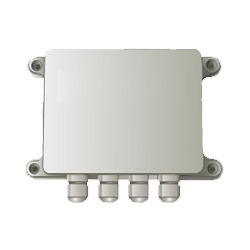 The GSM-SWITCH is to be a versatile option as a Single Output Relay system with normally open and closed contacts to provide a low cost solution for a wide range of applications only requiring a simple GSM Switch. It is activated by calling its cell phone number; it will reject the call without answering and switch on the device connected to it. There are no call costs incurred when dialing the unit, it will recognize an authorized telephone number calling it and reject the call without answering. The system is able to load up to 40 numbers in the white list as authorized users and the single output relay can be programmed to switch on for a pre-determined length of time whenever the GSM-SWITCH is called, alternatively the output relay can be permanently switched on or off by sending the GSM-SWITCH a text message. Various places of high security requirements needs access cards to let the persons in. These places includes the offices, companies, ATM machines, locker rooms etc. which requires a proper access card to open the entrance and allow the person to let in. We are one of the top level companies which are also providing its clients one of the most excellent quality access card control systems. 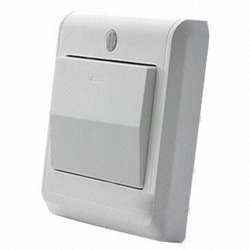 These Access control system helps the clients get a reliable and trusted services for control over their access cards after installation of these access card control systems at their entrances. Contractors with remote work sites can now work more efficiently by installing the GSM Intercom Use At Rural Communication Towers principal contractors no longer have to be physically at remote work sites to manage access of sub-contractors. 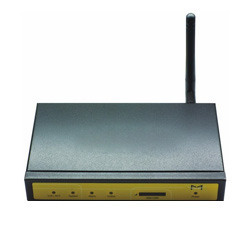 Base stations are normally secured to prevent unauthorized access. The access controls are normally in the form of lock and key. This means that when workers need access to conduct maintenance, they will need the key to the locks. For security reasons, these keys are not given to the workers or sub-contractors but the principal contractor will normally send a supervisor to open the locks and then return at the end of the day to lock up. This process is highly inconvenient and costly to the maintenance contractor as they would have to hire supervisors just to drive to remote stations to open and lock up. With our solution, this will be a thing of the past. By installing our units at the remote station, the principal contractor can lock and unlock the base station gates remotely via their mobile phones. 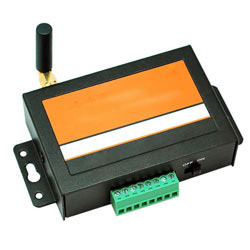 Looking for GSM GPRS Remote Control and Monitoring ?